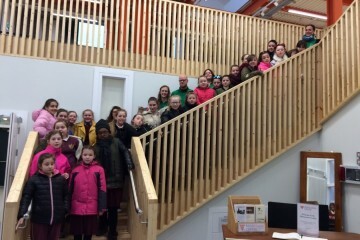 The Rediscovery Centre was delighted to welcome the students from one of our local schools to the Boiler House on Friday the 27th of January. 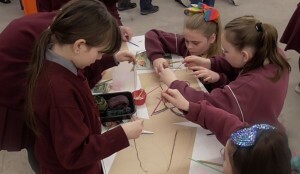 The Virgin Mary Girls National School in Ballymun came to our new premises for the first on-site workshop and it was great to start holding events in our new 3-D Textbook. The girls took part in one of our ninety minute Biodiversity workshops, facilitated by our Education team, were they learnt about what biodiversity is and why it is so important for our environment. The workshop featured a presentation by one of our facilitators and there was a range of interactive activities that encouraged the students to talk about what they had learned. As part of the workshop students examined ecosystems, food chains and animal camouflage and they also took a look at the biodiversity in our local area. 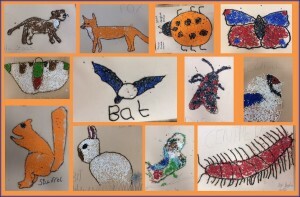 The girls worked really hard on making some fantastic collages of our local biodiversity using recycled material and they had some great artwork to take home with them.